We’re happy to announce the return of our limited edition Easter Gifties! 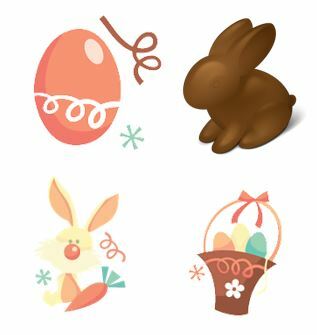 From March 16th through April 3rd, you have the opportunity to win some fun Easter themed prizes, including gourmet chocolate baskets, plush bunnies, egg decorating kits and more! Visit your Rewards Center today, and look for the icons below to see the great new Gifties we have in store for you! Good luck to all of our members, and stay tuned for more Spring Gifties coming your way soon!